We install a twin wall flue system when there is no brick chimney available (Either the house was built without one or your chosen position does not have a brick chimney). 1. 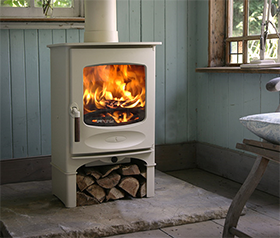 In order to have a stove installed, you will need a twin wall flue system. 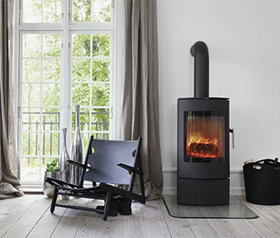 If you do not have an existing chimney or chamber it is often a more contemporary style which is chosen due to the design of the newer homes.If this is the case, try to look for models which are taller than others as it will raise the glass door up and it will keep the twin wall flue in proportion to the stove. If the only feature is a stove, make a statement! If on the other hand you always wanted a classic fireplace look then don’t panic! We can build you a chimney breast around your stove, making it look as if it’s always been there.